The latest Joint National Listenership Report (JNLR) has been released for the period January – December ’17, and RTÉ 2fm are celebrating gains across their weekday schedule. 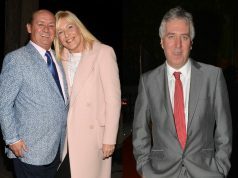 Breakfast Republic, which is hosted by Keith Walsh, Bernard O’Shea and Jennifer Zamparelli, came out on top once again as they hold an audience of 186,000, which is down 3,000 since October but up 32,000 year on year. Nicky Byrne and Jenny Greene have gained 19,000 listeners this year, bringing them up to 150,000, bringing them down just 1,000 since the last book. Tracy Clifford has seen a gain of 20,000 year on year, bringing her up to 133,000 listeners (up 6,000 since October). Meanwhile, Eoghan McDermott has gained 24,000 year on year for his drivetime slot, bringing him up to 134,000 (up 7,000 since last book). RTE 2fm has a market share of 6.8 per cent, which is an increase from 6.7 per cent last year, and 5.8 per cent the year before.